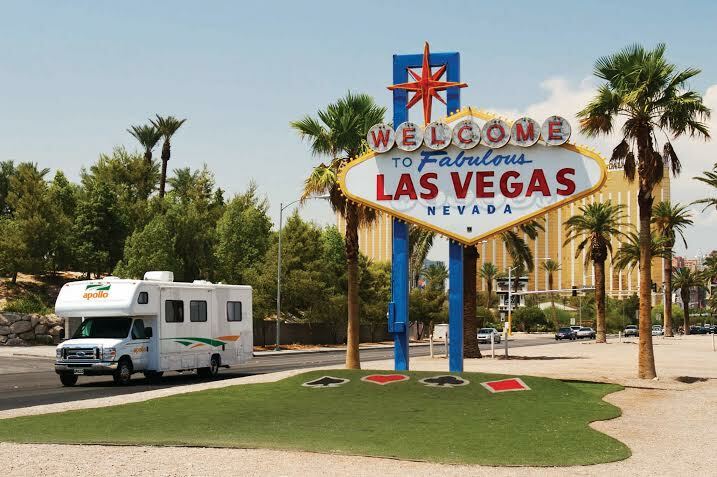 FREE MOTORHOME HIRE AND FREE FUEL IN THE USA! The capital of Iowa, Des Moines, offers a zoo, golf course, the famous Iowa State Fairgrounds, and plenty of art, culture and dining. In Omaha, walk all over Bob (the Bob Kerrey Pedestrian Bridge that is) across the Missouri River, then relax in the Old Market district, where history and modern dining combine. Enjoy the best of Nebraska’s cowboys, fine wine and history. Detour north west and enjoy outdoor adventure in South Dakota including a trip to Mount Rushmore. Travel through Yellowstone National Park and hit the capital sights of Washington State via Idaho before taking the coastal route through Oregon and California down to San Francisco or further on to Los Angeles. Take a scenic route south west for a chance to experience rural America through Kansas, see the rugged beauty of New Mexico from high during a hot air balloon ride in Alberquerque, and enjoy the dramatic seasonal weather in Flagstaff, Arizona before hitting the bright lights of Las Vegas. A minimum US$500 deposit is payable on booking. The total bond required on pick-up is US$1000. All hires include taxes and one way fee free of charge, a kitchen kit and two bedding kits. GPS, additional bedding kits and other extras are available for additional hire. *Set pick up dates are: 31 March to 5 April, 6 to 9 May and 2 to 6 June 2014. Up to US$500 for fuel will be provided for April pick-ups only, on presentation of fuel receipts. Travellers are responsible for their own transport to the Forest City, Iowa pick up location. Fees, terms and conditions and administration fees apply. Full details and pre-bookings are available at http://www.apollorv.com/factory-special, call 1800 777 779 or email info@apollocamper.com.